Pleats can be rather daunting at times, and if you’re not familiar with the terms knife pleat, box pleat or continuous pleats, it might be scary when you know you want pleats of some kind in a garment or in a craft item. Pleats are folds in the fabric that provide controlled fullness. Pleating may be a single pleat, made as a cluster, or around an entire garment section. Basically each pleat is folded along a specified line, normally called the foldline, and the fold is aligned with another line, called the placement line (see the diagrams below). Patterns will vary as to what these lines are actually called and how they appear on the pattern. Most pleats are formed by folding a continuous piece of fabric onto itself. Typically patterns will have arrows showing the direction of the fold for the pleats, as you can see on the left hand illustration above. Pattern sections that are to be pleated will normally be cut out as a single layer. Each pleat is folded along its foldline, as you can see in the right hand illustration above, then brought over to align with its placement line. The folded section between the fold and the placement line is called the pleat underfold; while its fold is referred to as the backfold of the pleat. There are several styles of pleats, the most common being the knife pleat and the box pleat, as shown below. Pleat folds can be soft or sharp, depending on how they are pressed, but any pleat will hang better if it is folded on the straight grain. As shown in the drawing above, knife pleats have one foldline and one placement line. All the folds are turned in the same direction all around the skirt. Some garments may have one cluster of knife pleats facing one way and another cluster facing the opposite way as a decorative detail of the garment. Box pleats have two foldlines and two placement lines. The two folds of each pleat are turned away from one another, as shown above. Some garments may have “inverted” box pleats, where there are two fold lines and one common placement line in front, so that the actual box pleat is hidden and only the under portion is showing. Any type of pleating process will have directions on the pattern package to let you know how to make their specific type for that particular pattern. The above information is an excerpt from Basic Clothing Construction book. Check out the book and all the additional information that it has. J&A Shoe Company of Gardena, California produces over 50,000 pairs of wedges, heels and other shoes every month. While most Americans step out in foreign made shoes, this domestic shoemaker continues to battle the foreign competition who can make shoes for just pennies a pair. This family owned business with 150 employees has survived for almost three decades – due in large part to its customer service and relationships with loyal long term customers. Bizoumis’ Greek grandfather owned a made to order shoe store in Athens until the 1950s, and her father, the founder of J&A Shoe Co., would bring home designs to teach her about the business. The whir of sewing machines and clatter of tools fills the air in J&A’s 50,000 square foot factory while employees hand braid shoe straps and sew rhinestones on pieces of leather. Workers also wear prototypes of shoes home to look for potential flaws so the designs may be adjusted before they are produced. The company benefits from only producing the designs and number of shoes that the customer asks for, instead of mass producing a few designs. J&A provides its shoes to boutiques as well as large retailers and they project this years revenue to be $15 million. Read more about J&A Shoe Company in the Los Angeles Times. Have you been satisfied with the progress your business has made this past year? Have you left too many things “undone”? Are you constantly trying to put two days’ worth of work into one day and end up getting very little accomplished, and mostly being frustrated? Now is the time to sit down and think about what is is that you really want? What is the meaning of success to you? “Success” is an individual thing, and each person has their own definition of success. Are you trying to get every customer in town? 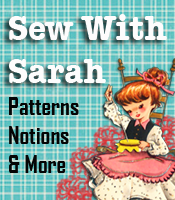 Do you try each day to do more alterations than the day before, or make more craft items in one day than you’ve ever done in the past? Are you mentally, and physically, pushing yourself over limits that you’ve set for yourself in order to set more unachievable limits? Perhaps we should all come back to earth and set some new and realistic goals for the new year. We’ve all heard the statement “success is a journey and not a destination”, and the more I think about that statment the more true it becomes. If success was the “destination” we’d never make it, however since it is the “journey”, we can set our goals, change the goals somewhat if necessary, and continue to “work our plan” and stay on course to build a solid business. I’m in no way suggesting that we slack off, get lazy and let “whatever will be, will be” for the new year! I’m simply saying that we really don’t need to do an overkill in the goal setting that our personal and family relationships suffer, our health suffers and in the end as we look back we have to admit that we ourselves have put so much on our plate that it’s destined for failure. We can’t change the external forces in our lives such as the economy and personal situations that are going on right now. However, we CAN change what is inside our head, our hearts and our souls. We can all look deep inside ourselves and ask the question “what do I really want to accomplish in the upcoming year?” Write down a listing of what you want to do and accomplish, then start another list breaking down those “want to do’s” with individual goals or steps to take to get you there. You’ll see that it doesn’t have to be done overnight or within a week — slowly and surely does win the race! One goal or step at a time will help you reach the first “want to do” on the list, then do the same thing for the next “want to do”, and so on. Break down the major goal into smaller weekly goals, then into smaller daily goals, and before you know it you will have reached the major goal you were striving for. Have You Ever Made Shrinky Dinks??? I have not seen shrinky dinks for years, and now I found out how to make them from scratch — from #6 recycleable plastic (the kind that restaurant take home food containers are), or sheets of purchased plastic. 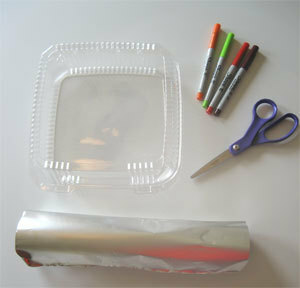 Clean Plastic, permanent markers, scissors, aluminum foil and oven mitts. How easy can it get?? Wouldn’t this be an awesome project for the kids on New Years’ Day while the men (and some ladies as well) watch all the football games! 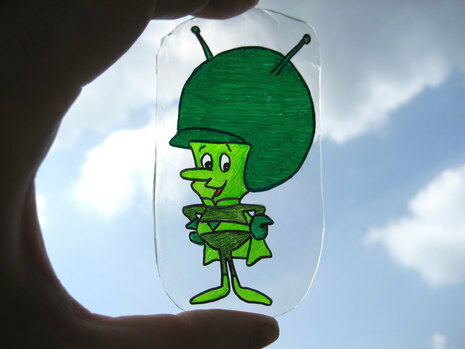 Chrisjob, on his blog, gives complete instructions on how to draw, color, cut and bake the shrinky dinks. There are unlimited designs that can be made — simply draw your own design, or copy something from a coloring book — whatever suits your fancy! 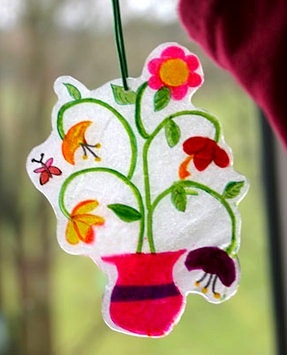 Here’s another example of what you can make doing the shrinky dinks. As usual, we thank you for the time spent in preparing your tutorial!